Buddy is a rock 'n' roll museum with moving dioramas %uFFFD and the bobby-soxers are screaming. He didn’t want any plucking restraint. He wanted thrashing passion. Buddy Holly aimed to turn sedate country music into ravenous rock ’n’ roll. 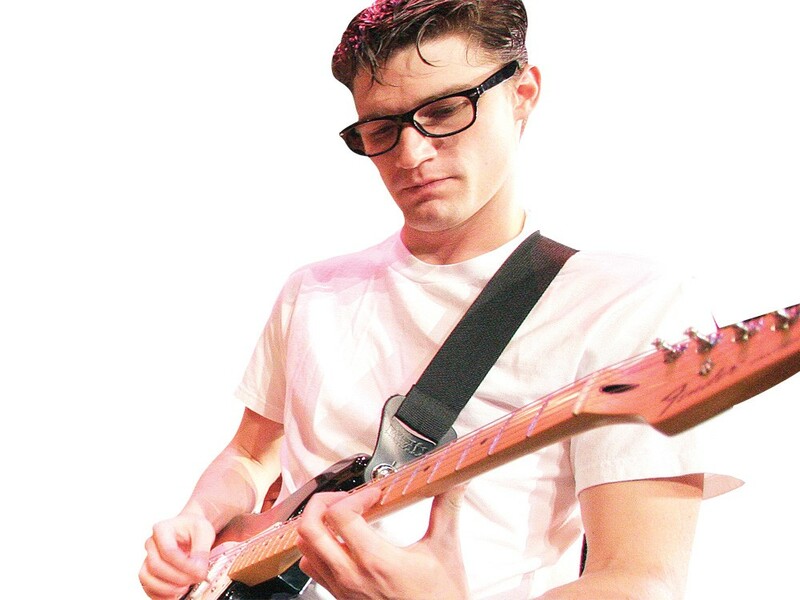 And on the strength of Yvonne Johnson’s audience-participating directing style and Brian Gunn’s likable performance in the title role, the Civic’s Buddy: The Buddy Holly Story turns jukebox nostalgia into a rousing of the rock ’n’ roll rabble. As Buddy, Gunn is even more than a singing-dancing-acting triple threat: He quintuples his impact by shredding his Strat and looking good in horn-rims, too. Gunn’s acting rings the changes from nervous kid to defiant artist, from gentle balladeer to rockin’ rebel. Johnson and co-music directors Jim Ryan and Michael Saccomanno succeed in showing Buddy’s development as a musician. When the Crickets are still playing roller rinks — and in their initial recording sessions — they sound tentative and rough. By the time they’re recording “Everyday” and signing contracts, though, they’re rocketing up the charts. Along the way, however, the intra-band squabbles and fights with producers lacked conviction. And the sound balance was off during the first half of opening night, unfortunately, with Gunn’s guitar amped too high and his mic turned too low. As a result, the wonder of being in on the recording of “That’ll Be the Day” and the surprising-the-black-folks impact of “Peggy Sue” at the Apollo was lessened. But the balance got restored after intermission. And while Act Two contains too much clunky exposition, the payoff is exciting. Johnson sends bobby-soxers screaming down the aisles and distributing programs in a you-are-there simulation of Buddy’s final concert. It’s unexpectedly moving to watch Buddy and the Bopper join in on that song with Valens when you know it’s their last night on earth. The report of their deaths, when it arrives, is sudden. But it’s handled without schmaltz, and soon the encores and curtain calls restore a rousing sense of being in at the birth of rock ’n’ roll. For more photos of Buddy and a longer version of this review, visit http://stagethrust.blogspot.com.